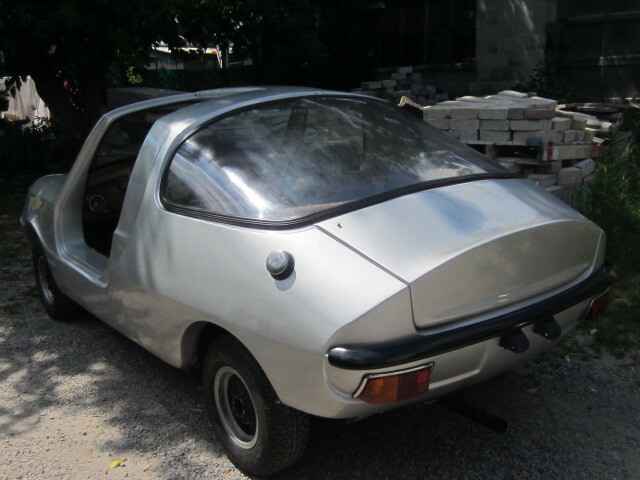 The Reptune GT is a kit car based on the Austin Mini and the brainchild of a designer by the name of Dennis Prophet. It isn't often that you are able to buy a car from its designer, but this gullwing equipped kit car is being sold by the original designer/builder. Find this 1976 Reptune GT is for sale in Ajax, ON via Kijiji.ca. 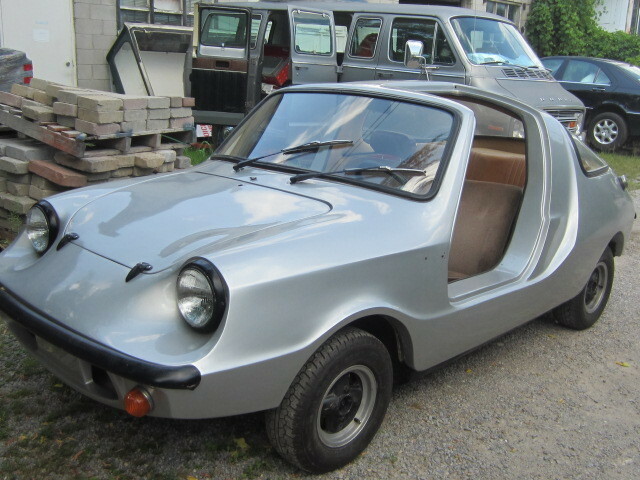 Tip from Peter R.
We typically shun kit cars that rip off a classic design, but this gullwing equipped fiberglass body on top of an Austin Mini chassis looks closer to a car from Disneyland's Autopia than anything found on a public road. The fact that it's being sold from the original designer is strange plus that we've never encountered before. How many folks buying a used Shelby, for instance, ever got to meet the Texan legend? The Reptune GT uses standard Mini front engine, front wheel drive and according to one source this may be one of only a few cars ever built. 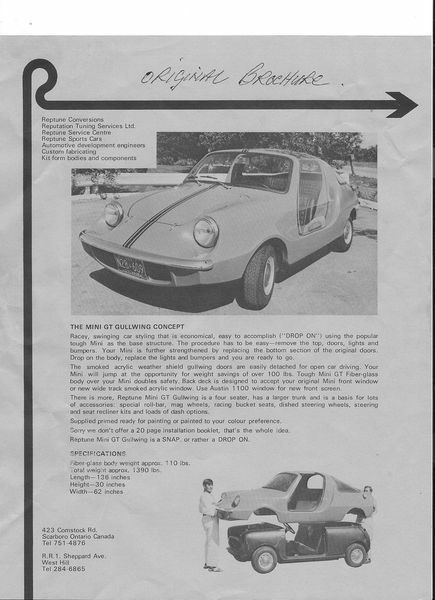 A vintage Reptune brochure is included below and lists the total vehicle weight as 1390 lbs, making for decent performance. OK, so where's the gullwings? Oh herro...Reptune! Eighth pranet from the sun. Why can't people be more interrigent, rike me? Wow! This is a new one on me. I haven't seen this car since I was around 13 years old in the mid 70's, remember sitting in it in Dennis's side yard when it was being built thinking it was the coolest car I had ever seen, cute car built by a very special person, thanks for the walk down memory lane.